What is the appropriate way forward for Ulster? The club themselves need to welcome them back but acknowledge that it's not going to be easy and it probably.won't be quickly forgotten. They need open and honest communication with their fans and community and need to be seen as addressing the cave man behaviour of this (at best). Ah yes, you wouldn't want to do something in case it offends someone. If I get a group together to protest if their sacked does that negate the threat of demonstrations if they stay? Its one choice to make amongst many in this case. Do the club want to make sure their players are role models and think these guys are not suitable? Or do they think that they have been found innocent so start again with a clean sheet? Do they want to face down the disruption playing them is going to cause or do they want the problem to go away? Do the players themselves want to face the inevitable demonstrations or get a clean start elsewhere? for me the clean start elsewhere would be the option I would chose. This is all about opinions and choices. this is setting aside any moral considerations but if I were them I would want a clean break and go to somewhere where I could get a clean start. Mob rule is OK as long as it's an OK lefty kind of mob fuelled with mock disgust, backs of hands glued firmly to foreheads. The decisions around the 3 players cannot depend on any mob or social media pressurw. The next daily mail headline will lure them away before long to vent their mock horror again. Given that they were found not guilty of any criminal activity and that the text messages, however distasteful, were private messages that only became public knowledge because of the trial, I can't see any case for dismissal that an employment lawyer acting for the players wouldn't easily pick apart. It would be a sad day for Ulster and Ireland if mob rule prevails and two players, who will have to live with the #Ibelieveher nonsense for years to come, end up losing their livelihoods due to the actions of a group for whom anything other than a guilty verdict, irrespective of the evidence (of lack thereof) was always going to be unacceptable. If the IRFU jettison them on grounds of morality, for engaging in threesomes, using derogatory or sexist language in private conversations, etc., where do we draw the line thereafter? Does every player who has ever cheated on his wife/girlfriend also have to go? 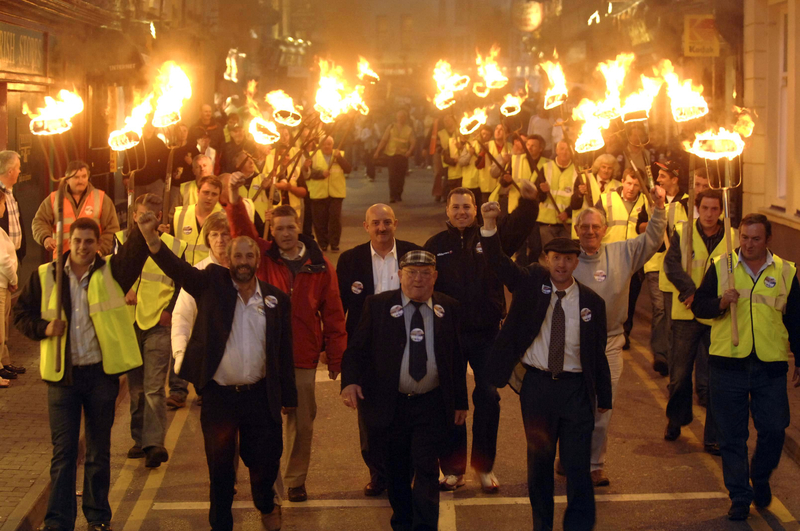 Yeah marty generally marching with torches brings about a certain feel that donald trump would support. I see Folau spouting off about Gays again. Using the word sluts puts you in the dog house. For some here it's completely acceptable. Some were defending basteraud and will defend solomona as well no doubt. There is also the civil suit coming which as its "balance of probabilities" not "beyond reasonable doubt" the woman has a good chance of winning. Warned off discussing it in a thread created to discuss it? That was my thinking Pete. What else is this thread about ? on the end of the previous ulster thread. Oh sugar. Keep it to the homophobic abuse seemingly prevalent in rugby then. A poll on a forum is hardly interesting especially when one option is entitled 'permanent banishment'. What kind of halfwit would honestly agree in permanent banishment? Banished because SO made a few ill-judged comments? Banished because PJ made one single comment aimed at nobody in particular. Perhaps banished because CG sent a text or two? Homophobia by Folau, Solomona, Basteraud et al is just a slap on the wrist. Actually the civil suit is still very much in doubt. Firstly she doesnt have the blanket of anonymity and there are a lot of things ruled inadmissible in a criminal case which are allowed in a civil action which could be detrimental to her chances. Pete330v2 wrote: Mob rule is OK as long as it's an OK lefty kind of mob fuelled with mock disgust, backs of hands glued firmly to foreheads. This is so true - but don't discount the silent majority. Most people don't comment about 'sensitive matters' on social media. The only people that do are those that feel particularly strongly about it - and they tend to believe that everyone else shares their world view. 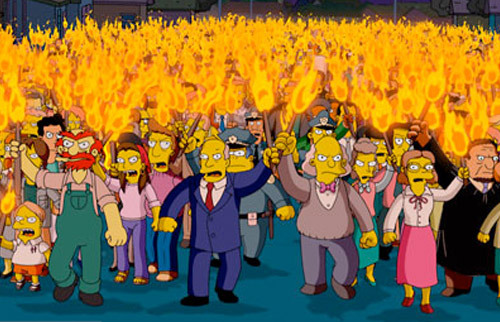 No 7&1/2 wrote: Yeah marty generally marching with torches brings about a certain feel that donald trump would support. You've obviously never been to Kerry. Prosecutors are facing scrutiny over how Paddy Jackson came to be charged with r***, Belfast Live has learned. It is understood they have been asked if at any stage a No Charge recommendation was made or expected to be made in 2016. Now extensive paperwork, emails and internal correspondence from inside the Public Prosecution Service may be sought after concerns were raised that the decision to charge the rugby player and his three friends may not have been clear cut. Jackson, 26, and 25-year-old Stuart Olding were acquitted last week of the charges against them at Belfast Crown Court by a jury who took three hours and 45 minutes to reach a unanimous decision after an eight-week trial. The PSNI could also be drawn into the query and it is believed a request may be made for police case notes and all early thoughts and recommendations about the matter. A source said: “r*** is one of the most serious criminal complaints police handle and they took the claims very seriously from the get-go. “They interviewed the complainant. They interviewed the four men several times. They interviewed witnesses. The complainant, now aged 21, gave evidence over eight days in the witness box and was examined by Prosecutor Toby Hedworth QC and cross-examined by four of the UK’s top barristers. Ten PSNI officers from the r*** Crime Unit gave evidence in the 42-day trial where Jackson stood accused of r*** and sexual assault. Olding was accused of r***. Only confirms my suspicion, I voiced before; if it hadn't been rugby players it would never have got to court, the evidence just wasn't there. There is also a report in the independent that if reporting restrictions are lifted the not guilty verdict would be undermined. geoff, one of the many rumours doing the rounds was that it wasn't who the accused were but who the accused father was. THE most difficult job a press officer for any sporting organisation will usually have is trying to explain why a team is failing to perform. The media relations staff at Ulster Rugby have had a very different set of problems to deal with of late. But despite the fact that the trial of Paddy Jackson and Stuart Olding lasted nine weeks - four weeks longer than initially scheduled - the club did not appear to have an effective strategy in place to deal with the inevitable fall-out. And despite Whatsapp messages that referred to women as 'sluts' and 'brassers' being read out in the early days of the trial, there doesn't seem to have been any coordinated plan in place to deal with news reporters' quite legitimate questions based on public concern. Ulster Rugby has always enjoyed a family-friendly image, and many members have spoken of the Christian values they associated with the club as their reason to stay at Kingspan when they could have commanded higher salaries elsewhere. But that is far from the picture painted in Laganside courtroom 12 during the trial of the two Ulster and Ireland players, who as well as engaging in derogatory conversations about women in their company had been on a four-day drinking binge when finally contacted by police. While many have tried to pass this misogyny off as 'lads being lads' and 'locker room banter', the reputation of the club has been damaged. If Ulster Rugby had a prepared statement that reflected the public mood and indicated a very real desire to deal what appears to be a hard-partying culture of hedonistic debauchery at the expense of any woman unfortunate enough to cross paths with some of their players, then maybe they'd be in a better place. At first when asked by The Irish News, the club said no other player was involved in the Whatsapp exchanges in the days and hours after the alleged attack. It later confirmed that while not present at the party, Craig Gilroy had sent a sexually explicit and offensive message to Stuart Olding the day after. He has since issued an apology but will not play for the club this weekend and will after all be included in an internal review. This was after coach Jono Gibbes was left exposed before the press this week and indicated that Gilroy was available for selection. The drip-feed of information is not working for Ulster Rugby and management need to step up and deal with this serious issue and explain how they are going to change a culture of misogyny among some of their younger players. They need to realise this is a problem that will not just go away. Written with an inherent bias. Ulster dont have the luxury of coming at this from a purely philosophical perspective because whatever they put out into the ether will dissected for being prejudicial. they've so far done the only thing they can. marty2086 wrote: geoff, one of the many rumours doing the rounds was that it wasn't who the accused were but who the accused father was. I don't think we will hear anything till the last match at Kingspan has been played, to avoid any, potential, protest. geoff999rugby wrote: I don't think we will hear anything till the last match at Kingspan has been played, to avoid any, potential, protest. Don't forget the other rumour about the accuser being a serial accuser in this particular field. Well exactly. All I know for certain is the prosecution's case was as pathetic and misguided as the hashtag gang filled with their mock outrage. My other half read a story last night about some petition with 65000 signatures, another meaningless effort by the same people who'll have voted early and often and spread the net wide to those around the world who wouldn't even have heard about the case. Online petitions are utterly meaningless but these dumb pricks can't fathom that anymore than be able to work out that a protest outside Ravers will only serve to make them all look more foolish than they already do. Speaking of fools, I see Anna Nolan has run a Gofundme page to raise funds for an add in the Belfast Telegragh calling for PJ and SO to never represent Ulster or Ireland again. She raised the necessary £2000 with a little spare change left over which I'm sure she'll donate to some LGBT charity. The world is doomed when people like this exist. Pete330v2 wrote: Speaking of fools, I see Anna Nolan has run a Gofundme page to raise funds for an add in the Belfast Telegragh calling for PJ and SO to never represent Ulster or Ireland again. She raised the necessary £2000 with a little spare change left over which I'm sure she'll donate to some LGBT charity. The world is doomed when people like this exist. Liquor, Guns, Bacon, and T1ts? Also how does that work? they think that £2k can pay out the remaining contracts for the players, or that they think that the money can pay a lawyer to proves that they have breached their contract conditions suitably enough to be fired? .surprised the amount fo faith an backing some of you have for these players. No 7&1/2 wrote: .surprised the amount fo faith an backing some of you have for these players. Sorry what's your point? They've been found not guilty, there's no proof they've broken any laws. Its not about the players as individuals. They may well be every inch the idiots portrayed in those messages. The point is that what male wasn't an idiot at that stage of their life, especially when it came to women. What they are is innocent which seems lost on most.